Thank you first of all to our members, our volunteers, our stakeholders, staff and all our friends and supporters for your all you have done to help sustain our activities out throughout a tumultuous year in which we have achieved so much together. From start to finish in 2017, we have campaigned relentlessly for "immediate, comprehensive and unilateral guarantees for EU27 citizens and Britons in the EU. This has been our clear simple message since 24 June 2016 and we will not let up until we achieve this goal. 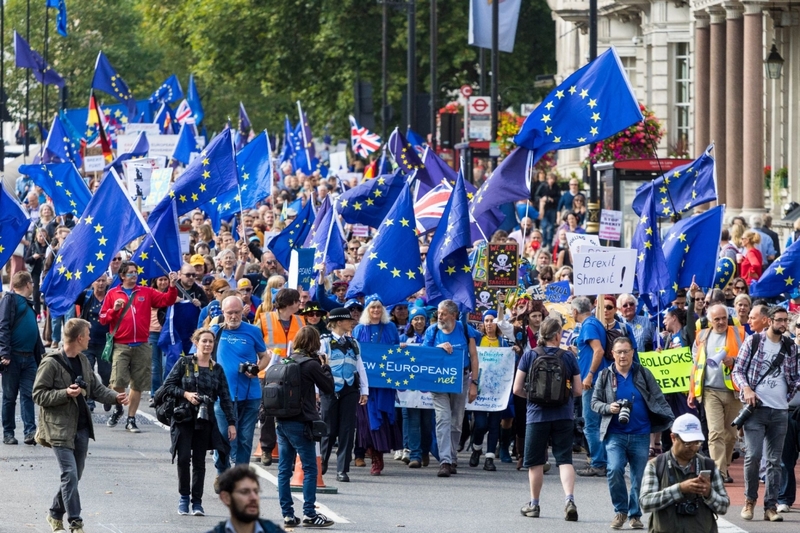 Britain cannot be allowed to leave the EU at the expense of the rights of EU27citizens and Britons in the EU or by riding roughshod over parliamentary democracy. We are proud to be one of the leading organisations standing in the way of this. Our work has been recognised both through awards and through the decision by the All-Party Parliamentary Group on EU Citizenship Rights and Freedom of Movement to invite us to set up an EU27 Forum as a truly representative body for EU27 citizens and their organisations to have a voice in parliament. We are also monitoring the outreach work of the Home Office as it consults on the new settled status scheme for EU27 citizens, which the government proposes to introduce on a voluntary basis from the second half of 2018. The best way to protect citizens' rights, representative democracy in the UK and the future of Europe is for Britain to change course and not leave the EU after all. This requires continuous mobilisation in support for the EU, the values of the EU, the benefits of EU membership and the rights that we enjoy as citizens of the EU. It also requires a profound and sustained shift in public opinion in relation to whether Britain should stay or leave the EU. Thirdly it requires courage from our parliamentarians and political activists in the face of unprecedented levels of abuse, hate and threats to their personal safety. New Europeans' #ThinkAgain campaign is directed at securing all three of these objectives. When the facts change, opinions can change. In a democracy, the electorate is allowed to change its mind. The UK is a representative and not a direct democracy. This time next year we will be three months away from Britain leaving the European Union. We hope you will make it one of your New Years' Resolutions to help New Europeans deliver unilateral guarantees now for EU 27citizens in the UK and safeguard the free movement rights of Britons in the EU. We also ask you to join us in the work we will be doing across the UK to unite communities, ask people to think again, and create the opportunity for Britain to reconsider and reverse its decision to leave the European Union.